I offer private lessons for individuals wanting to learn the art of the highland bagpipes. Lessons are usually scheduled on a weekly basis. Students are taught in an informal setting at my home in League City, TX, but are expected to practice the lessons given on their own. Students will be required to purchase their own instrument. The College of Piping Tutor Book #1 and a practice chanter are what is needed to begin learning the basics of piping. I typically have my students on the chanter for about 6 months and then have them order their pipes when I feel they are ready. 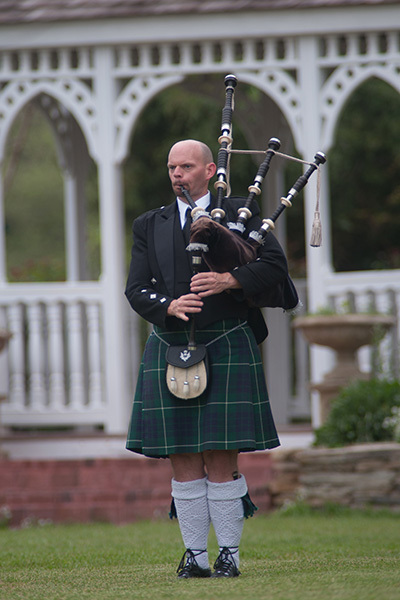 A practice chanter and a book can be purchased at any bagpipe supplier. Feel free to give me a call if you cannot find one locally.